Petersburg’ annual Cruise Night, sponsored by the Petersburg Volunteer Fire Department, was very successful this year with an outstanding turnout of cars and ideal weather. 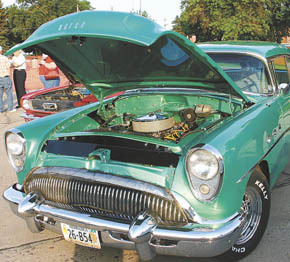 Some of the cars, like the 1950s era Buick above, were on display near the fire station. The event also included a barbecue meal and dance.